New York Times best-selling novelist Cathy Maxwell, a storyteller since childhood, embraces writing romance as a way to express her belief that "loving well is the greatest adventure of all," and to explore her fascination with the Regency period. She has written numerous well received novels that continue to delight readers across the globe. Maxwell enjoys speaking to audiences about everything from literature to love and is a frequent speaker at writers' conferences, libraries, and women's events. Maxwell is the author of 26 novels and four novellas set in the early 1800s. Her latest installment, Lyon's Bride (Avon), launches The Chattan Curse trilogy -- an exciting yet tender adventure saga that deftly weaves together elements of romance and fantasy into one compelling story. The Scottish Witch (Avon) is set to debut in November 2012, followed by the final book in the series, scheduled for release in the spring of 2013. Maxwell's recent bestseller, The Seduction of Scandal (Avon), is the fifth of her lauded Scandals and Seductions novels, all of which are quintessential Cathy Maxwell -- traditional historical romances with a contemporary sensibility and a touch of humor. The series includes A Seduction at Christmas, The Marriage Ring, The Earl Claims His Wife, and His Christmas Pleasure. Maxwell received recognition from the start with her first novel, All Things Beautiful, an elegantly written story inspired by the classic Beauty and the Beast tale with a fresh new twist. Published in 1994, it was nominated for the prestigious Best First Book award by the Romance Writers of America and for Best First Historical by RT Book Reviews magazine. It also received first place recognition as Best Read of 1994 from Reader's Voice. Maxwell is now the author of an astounding 17 national best-sellers with her novels appearing regularly in The New York Times and USA Today best-seller lists. Her books include In the Highlander's Bed, Bedding the Heiress, In the Bed of a Duke, The Price of Indiscretion, Temptation of a Proper Governess, and The Seduction of an English Lady. Born in Olathe, Kansas, Maxwell's family roots go back to the Mayflower and the Revolutionary War. She has long called Virginia home, noting she is "a Virginian by choice, but a Kansan by nature." Quite the Renaissance woman, Maxwell has worked in television news and spent six years in the Navy. She attended Air Force intelligence school, worked in the Pentagon, and did a tour with Naval Intelligence. 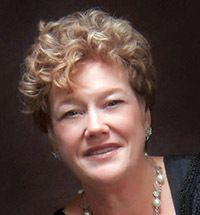 Maxwell is a member of Romance Writers of America, Washington Romance Writers, Virginia Romance Writers, and Novelists Inc. She lives in rural Powhatan County with her rescued dogs, Rico and Maya, and with her son during college breaks. An enthusiastic equestrian, Maxwell lives just minutes away from her two horses, Duncan and Dinero. "Charming, funny, joyful, generous and wise -- Cuyahoga County PL will always be a fan ... Cathy was hilarious, entertaining and inspiring. After her talk, the librarian who was working outside the room said that all the laughter sounded like we were having fun. We were! Cathy, thank you for bringing your exuberance to Cuyahoga County Public Library." "Cathy Maxwell's remarks at a recent luncheon where scholarships were awarded to single mothers were thought provoking and inspirational. Her remarks were tied to her career as a romance novelist. She did a superb job of connecting taking risk in our own lives and how this was a reoccurring them in the books she writes." "Cathy has a wonderful, candid presence, a terrific sense of humor and a superlative understanding of the romance genre and the publishing world itself. I'm hoping we can get her to come back soon!"